Recent research has found that a lack of socialization, along with isolation and loneliness, can be just as dangerous for older adults as some chronic health conditions. Socialization is important, though it can be more difficult to stay social as we age. Here’s how Senior LIFE can help. Socialization is not often thought of when it comes to seniors and their health. Lack of socialization among seniors is increasingly common and can lead to deterioration in body, mind and spirit. One study by researchers at Brigham Young University even found a correlation between isolation and increased likelihood of a premature death. This study showcases extreme results. The point is that socialization is very important for seniors and their health. And the benefits of socialization are plentiful – it can reduce stress and the risk of depression, and increase self-esteem and longevity. So why is it so hard for seniors to socialize? Usually, seniors’ main source of socialization comes from their families. It can be difficult for families to provide enough support to their loved ones because of limited time and resources. This is where the Senior LIFE Program can help. 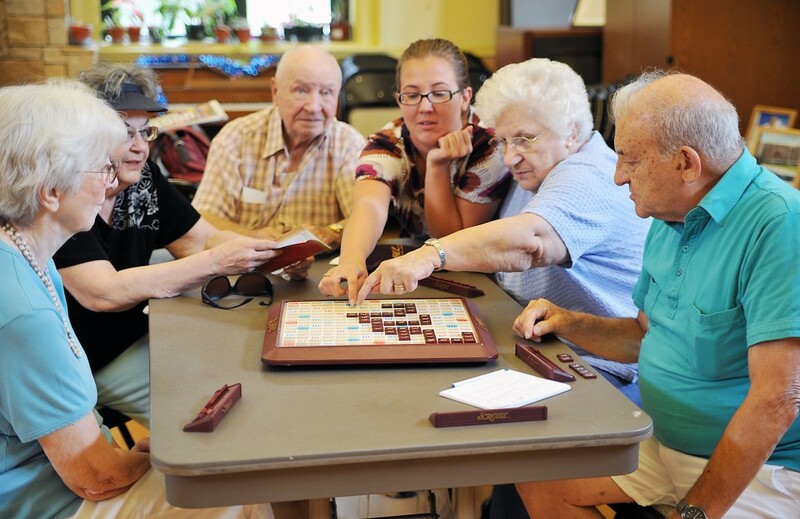 At Senior LIFE, we understand the importance of socialization. We strive to make it apart of each member’s individualized care plan. Here are four ways we support socialization at Senior LIFE. All Senior LIFE members have access to the LIFE Health and Wellness Center. This center is a warm and inviting place where our members can come to have a hot meal, socialize with friends, and participate in activities. Members can also see their doctor and nurses, and visit the LIFE Health and Wellness Center gym. The LIFE Health and Wellness Center is open Monday through Friday from 8 am to 4:30 pm. Care is provided to our members 24/7 both in the home and at the LIFE Health and Wellness Center. Schedule your tour today! All of our members are provided transportation to and from the day the center, and to all medical appointments, at no out-of-pocket cost to them! A big part of the LIFE Program is the social activities that are made available to our members. We believe in socialization so much so that we devote significant space in the LIFE Health and Wellness Center to the dayroom. Here our members are able to participate in daily crafts, games, or entertainment. If activities aren’t you’re thing, We also provide opportunity for members to chat, drink coffee, and relax. A key to socialization for seniors is staying connected to family. At Senior LIFE, we work together with both the senior member and their family to create a care plan that is best for everyone. All medically necessary healthcare services are provided to our member at no out-of-pocket cost to them. Senior LIFE services are provided to members with the goal of keeping them at home for as long as possible. This goal keeps seniors close to family and provides them with the opportunity for independence and socialization with friends. According to the National PACE Association, The PACE Program, known as the LIFE Program in Pennsylvania has been shown to prevent and/or significantly reduce preventable hospitalizations. This keeps our members out and about in the community. We work to keep seniors at home for as long as possible by creating an individualize care plan that is tailored to each member’s specific needs. Services include physicians and specialists, nursing care, physical, occupational and speech therapies, personal and home care, medications, meals and nutritional counseling, eye, dental and foot care, durable medical equipment and other medically necessary services. Senior LIFE is a team-based model of care centered on the idea of providing healthcare outside of the hospital setting. The Senior LIFE Interdisciplinary Team is made up of both professionals and paraprofessionals who take a comprehensive approach to care management: providers, homecare coordinators, transportation drivers, nurses, social workers, physical and occupational therapists, dietitians, recreational therapists, and others. The ideal Senior LIFE participant is someone 55 or older who needs a little additional support to live independently in his or her home, and lives within the Senior LIFE service area. Most care is delivered during the day, but care is available 24 hours a day, 365 days a year. To learn more or to find out if you or a loved one are eligible for the LIFE Program, please contact us today!